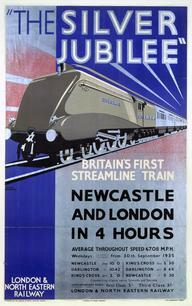 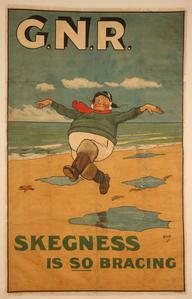 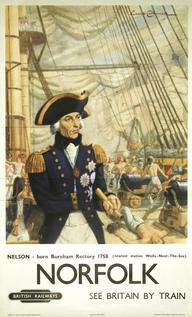 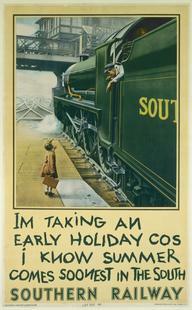 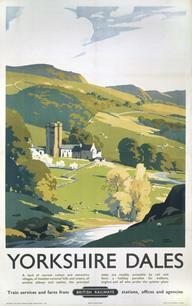 Poster, notice, British Railways Central Advertising Service. 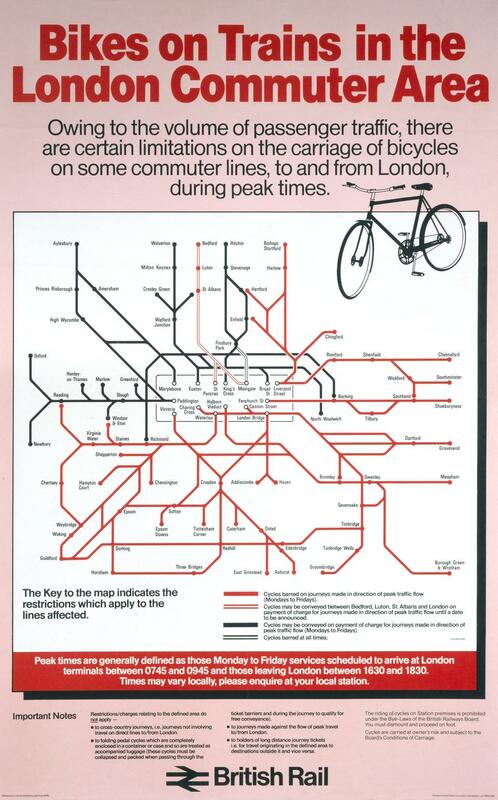 Bikes on Trains in the London Commuter Area, 1982. 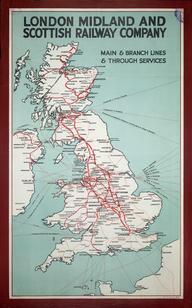 With a map of the network.